We are at a time where it seems church changes are happening regularly. It’s a rather exciting sort of news feed, but it may also leave us wondering of what is important, what was important but no longer, and questions of just what we ought to be worrying about. We may have heard others frustrated with changes, or perhaps experienced those frustrations ourselves. This all leads to that greater question of just what is the purpose of all these changes. To take the thought even further, what is the purpose of all we do in the gospel? Elder Bednar quotes the scripture Ephesians 1:10 “That in the dispensation of the fullness of times he might gather together in one all things in Christ, both which are in heaven, and which are on earth; even in him”. We have been given a modern dispensation where the fullness of the gospel is revealed. It’s a wondrous and exciting time where living prophets teach us, works of knowledge and inspiration are easily available, and in many ways this can greatly help us move on the work of our Heavenly Father. Elder Bednar also mentions a rope. 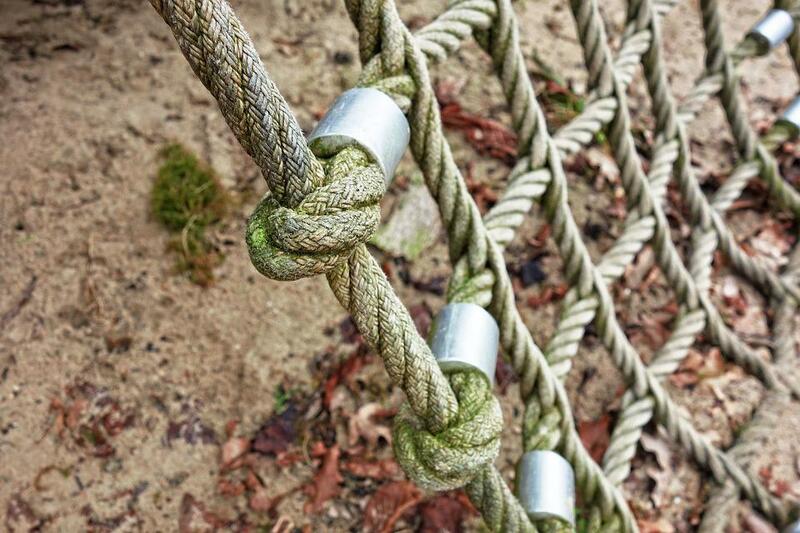 During my time working Scout Camp, I spent a lot of time with ropes and they became near and dear to me. We tied knots to serve all sorts of different purposes, generally with some degree of securing some item, be it a boat, a fence, or a person. Ropes are quite powerful and useful in that security. Ask anyone whose profession or hobby involves knots, and they will likely wax on about the important of a strong rope and good knot. But, what makes a rope? A rope is a collection of a whole lot of individual strands that work together to make that mighty rope for whatever your purpose. So, consider all the changes and even all the long-term yet-to-change policies and procedures of the church. Do they exist independently for their own sakes entirely? What is their end goal? Take a moment to consider all the ins and outs of living the gospel in this modern dispensation. What are some that stand out to you? Have a particular meaning to you? Are these merely foolish traditions or do they have a purpose in helping the gospel move forward to our salvation and exaltation? Consider a nice, strong rope, and then consider the worst to-do checklist you’ve seen. What is the difference? Then, especially for those of you who love checklists, compare that rope of little individual fibers with the best checklist you’ve done, the one that consists of important tasks great and small that all work toward a single purpose. What do you think might happen if we become preoccupied with the changes, or perhaps even long-standing aspects of the church? Would it be possible if we approached the gospel in a merely a checklist fashion to eventually lose focus of the ultimate purposes of the gospel? I want to share a change that I found particularly meaningful to me in a way I didn’t anticipate. I really do appreciate the two-hour church time. And it’s not necessarily about having “more time” on Sundays. I honestly felt, and still feel, that the church could have given us whatever schedule and I would have dutifully and happily accepted it. The movement toward a more home-centered gospel struck a cord with me. I have rubbed shoulders with people of other faiths who had shorter church services than us. Some who didn’t even attend any sort of actual church, but practiced their faith entirely within the home. And while I certainly feel there is a lot of benefit to the greater community of a church congregation, that feeling comes from my belief that such community is in its way an extension of the family. Anyway, those Christians who had less congregation church and more home church were always admired by me and I thought of them when the schedule changed. I liked that reminder that church is not something we go to on Sundays, but is something we ought to be living daily. I thought of those who had challenges with the schedule, listened to their thoughts, and still in the end came away with the hope that they would be able to meet such challenges. And, even though it is probably overstepping my bounds, I couldn’t help but wonder if the process of meeting such challenges would offer great blessings to themselves and their families, even if it was nothing more than greater communication and understanding between family members. I’ve been in situations where for one reason or another, a gospel event had to be severely focused. To share another Scout Camp story, one Sunday morning we somehow found ourselves in the situation with way too many people planning to attend church down at the bottom of the mountain and not nearly enough cars. A phone call was made, and we wound up having a quick sacrament meeting ourselves. One way to look at this was that we managed to do what seemed most important, but I bring up this story as a reminder that we still cannot discount everything else just because of the importance of the sacrament. Even the sacrament itself is a way to bring us further along in the gospel. All that we do in the gospel ought to be with this mission in line. Think of the Pharisees, strictly following the letter of the law without proper understanding of just what the intent and purpose of the law was. These days in education, a common practice we use in deciding what to teach is “unpacking the standard”. We take the educational standard, or the goal of what we want students to know, and start breaking it down. We can in the end get quite a few lessons from a single sentence standard. It occurred to me that instead of worrying about all the little fibers that make up a rope, it may be better to look at a whole rope, and then look at all the fibers that make up. We begin with knowing we want a nice strong rope—how will we get there? What do we need to make up that rope? Or, what is in that rope that makes it so very strong? In his talk, Elder Bednar makes an excellent project of “unpacking” the 4th Article of Faith. Many of may be able to recite it by heart, a quick paragraph that nicely hits the main key ideas. “We believe that the first principles and ordinances of the Gospel are: first, Faith in the Lord Jesus Christ; second, Repentance; third, Baptism by immersion for the remission of sins; fourth, Laying on of hands for the gift of the Holy Ghost.” But we know that we can take each one of those and intricately study and ponder on their meaning… and yet they all lead back to that key idea of The Gospel and the importance of relying upon and trusting in our Savior. Consider all that you do in the church and in the gospel. Do you do them without any thought of Jesus Christ or Heavenly Father? Likely not, or at least not all the time. If we have developed a testimony in those things, that testimony is very likely not just in those, but in our Savior and our Father in Heaven. That gospel is the focus of what we do. What blessings have you seen from either recent changes or long-standing components of the church? What do you think is their end goal? How can we help ourselves and each other from getting caught in single ideas? How can all these individual things help us? I’ll begin by being perfectly clear–I have nothing against financial success and wealth. If I found myself making oodles of cash, I would be pretty darn pleased. I daresay most people desire some form of financial security and what is the American Dream if not to create that sort of stability? But Latter-Day Saint culture seems packed with multi-level marketing and, according to my Facebook groups, aimed particularly towards wives, often those who want nothing more than to be a stay-at-home mom. For whatever reason related to this difficult economy, these women often want to be helping out with finances. I’m a working mom, I totally respect that. They want to be at home, or working outside the home isn’t financially logical, and money is still needed for basic bills or desired for making things easier or even just more luxurious. Once again, I respect that. There’s a reason we aren’t scrimping by in my grandmother’s basement but rather I’m working. Avoiding my grandmother’s basement isn’t the only reason I’m working, of course, but I understand the desire to not be living in such circumstances when you’re adults with a family. I recently mused about those Facebook groups. One of the regular posts was ways to earn money from home, and inevitably MLMs would pop up. A recent incident of memorability was such a request with a specific NO MLMs tag attached to it. The next day had an apology post from one of the group administrators complete with a note that every woman who had brought up her MLM anyway had been removed from the group. People in MLMs LOVE MLMs. And despite not being immune from making purchases, I can’t help but be a little frightened of the zeal. Let’s be real: it can be flat-out freaky. I don’t really want to talk about the figures and numbers and data of MLM success and failures. My question here is, why? Why is there such a heavy focus and celebration of making so much money? Once again, I do not intend to slam the rich. I do not intend to slam those who work high-paying careers. I do not intend to slam those who enjoy their money. But I also confess that as a school teacher living in a little house who clearly did not go for a high-paying career for whatever reason, such intense chasing of money is hard to understand. With high-paying careers, you’re hopefully doing something you enjoy. Something that interests you, challenges you–and also happens to pay pretty decently. You like your career. Maybe you wouldn’t do it if the pay wasn’t worth it, but you are generally happy doing what you’re doing. But the most I hear from MLMs is about the money. Dazzling phrases of Financial Freedom! Be Your Own Boss! Have All you Desire! Live Abundantly! Since when did abundance fall into limited terms applying only to finance? Suddenly an MLM goes from a fun side-hustle that may pay a few bills to meaning untold wealth. The message isn’t about the product, it’s about what the product will hopefully get you. So a relative of mine made millions in an MLM. He had a beautiful home on a mountaintop. It was pretty cool. One day, some guys from the company came to take video of his house and property–for the purpose of using it to entice potential consultants. Who cares about the product? Do this and maybe you’ll become rich! I confess I’ve actually perused sites like PinkTruth and such, or even just random MLM disaster stories on the interweb. I find them fascinating, like a car accident. So much of the talk given to these people involved vague promises of wealth! And while wealth is probably very nice, why is this money side such a focus? Why is it all about the money? The big houses? The vacations? To stay on the PinkTruth/Mary Kay angle, Mary Kay is a Christian sort of company. Yet I scratch my head at the focus on so much material wealth. Same goes for my own specific religion. How many of these moms in my Latter-Day Saint mom groups are looking for a way to bring in some fun money and how many of them are looking beyond the mark of caring for their children in the home towards lavish lifestyles? I already know several woman who still wound up having to put their kids in daycare in order to work many hours on their MLM businesses that were supposed to allow them to stay home. To go further on that thought, I already see a lot of desire for the finer things in life that go beyond simple wishing and toward what I would consider for myself unrighteous greed. When I went looking for more information on MLMs, the supportive sites also failed to mention their actual businesses and only spoke of the potential millions to be made. None of it was about the work. It was all about skipping over something someone may or may not enjoy and getting to the millions of dollars. Why isn’t it about the joy of selling if you’re a salesman type with the income to make it worthwhile? Why is it just about the end result, like the MLM is a magic genie come to make all wishes come true? Instead of living godly lives on whatever income your family has or can reasonable obtain and being happy in such lives, why must there be so much strife toward extreme wealth?